We LOVE hearing from happy customers, and with that in mind we think you'll also appreciate these testmonials from others who have benefitted from Dr. Scheele's life-changing care! This young nurse was interested in straightening her teeth, but didn’t want to go through years of braces, and then have to wear a retainer for the rest of her life. 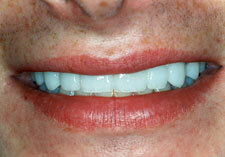 Dr. Scheele was able to achieve these results in two weeks and two appointments with porcelain veneers. I just wanted to drop a note to let you know how pleased I am with my new smile! From the time I came into your office until my last appointment approximately a month ago, everyone was very friendly and professional. The new Bright Smile process was amazing and I will highly recommend it to anyone who asks. I have had many compliments on my teeth and I love the new veneers. You have saved me three years of orthodontic work and have given me a much needed boost in self esteem. I feel you all have become friends and look forward to coming to your office for my regular check-ups in the future. 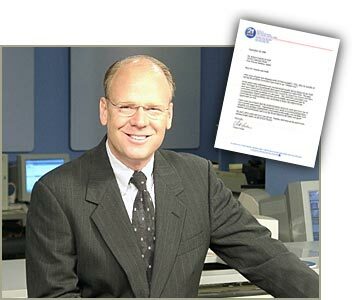 Very friendly and professional. No stress, no pain. I will recommend this dental office to my family and friends. Just wonderful,could not ask for more. Everyone is friendly & helpful. 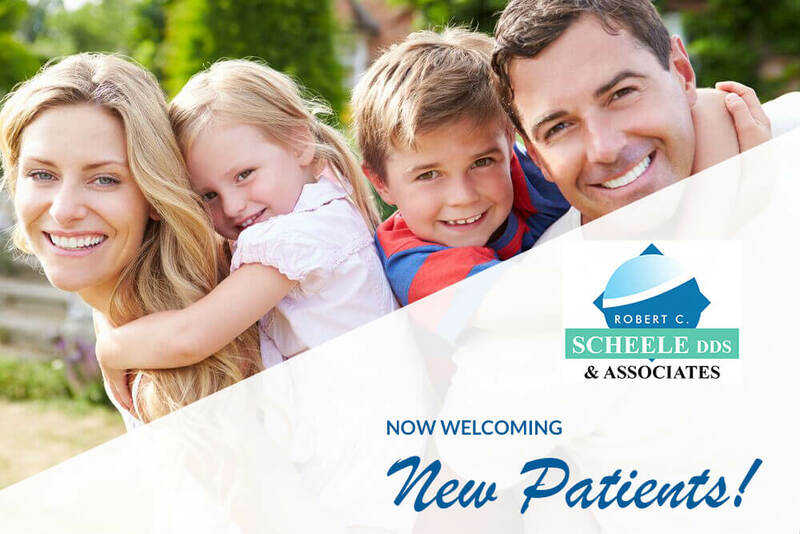 Every experience at Dr. Scheele's office has been great! The desk staff are always super friendly, and Barb always does a perfect job with my cleaning. The atmosphere of the office is laid back, and everyone's positive attitude immediately puts me at ease. I can't say enough good things about Dr. Scheele! 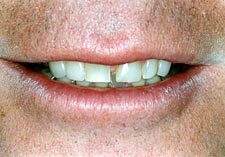 Victor suffered from a very deep bite that placed the forces of his teeth in the wrong direction. This was causing the teeth to wear away and break down at the gum line. Previous crowns placed at the old bite were breaking down due to the irregular placement. 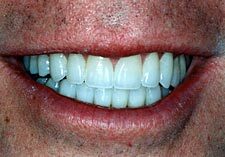 By reestablishing an ideal bite we were able to restore Victor’s smile with 28 Empress veneers and overlays. It took some time to adjust to my reconstructed mouth, but my teeth no longer hurt. Nor, do I occasionally feel a piece of enamel as I chew food. The gaps that once existed and the mismatched color created by numerous crown and other corrections of earlier problems are also gone. The restorative procedure, which you recommended and which I underwent, has proven highly successful. Not only did it correct my tooth problems, but according to many, has improved my appearance as well. I just want you to know that the professionalism shown by each and every one of you is greatly appreciated. Appointments were made at accommodating times, attention was prompt, explanations of procedures thorough, your facilities were spotless and professional, and even the bread baked in the lobby was good! This young man spent his lifetime hiding his smile from friends and family. He was soon to be married and his fiance was determined to have him smiling in their wedding pictures. 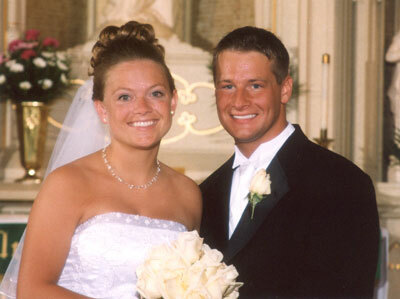 With a few porcelain veneers and a bridge, two weeks later he was walking down the aisle with his new bride. His new smile reflected his true joy. 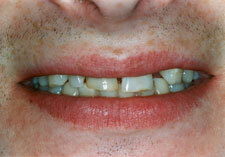 Check out our Smile Gallery page for more examples!